21-year-old, Jason Howard, accused of murder, pleaded not guilty to three counts of robbery under arms this morning before Chief Magistrate Ann McLennan. The court heard Howard of East La Penitence robbed Roopnaraine Boodhoo on October 1 of $800,000 on North Road; Bibi Bacchus of $100,000 in Plaisance on November 6; and Sheik Sudesh of $35,000 in Queenstown. Howard had previously been charged along with Curtis Vasconcellos of robbing Tower Hotel Accountant Baldwin Persaud of some $2.5M last year, and attempting to murder Baldwin in the process. Police prosecution told the court the medical report was yet to be submitted in the joint attempted murder case against Howard and Vasconcellos, and the robbery under arms file was incomplete. The Chief Magistrate advised the prosecution seek advice on the robbery charges. Howard has one other charge of unlawful wounding with intention to murder Quacy Joseph at Water Street on October 21, 2016. 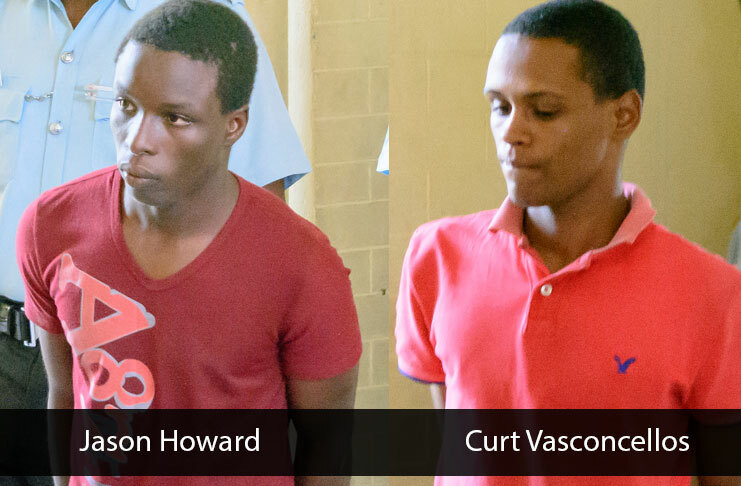 Howard was last year jointly charged with three other men with the murder of an elderly rice farming couple in their Good Hope, East Bank Demerara home. That rice couples murder case was broken open when Howard was arrested following the Tower Hotel Accountant’s robbery, which ended in Police chase. Police investigators learnt that the men, upon breaking into the couple’s house, hunted for valuables and in the process, the couple woke up. There were reports that the perpetrators then attempted to gain access to the couple’s bedroom at the rear of the building, but because of the security feature, they were unable to do so. Howard and company then reportedly lit a sofa afire and threw a gas bottle into the fire, resulting in a loud explosion minutes after they fled the scene. Howard will appear before Sparendaam Magistrates Court on January 31 relating to the Plaisance matter, while the other matters would return to Chief Magistrate’s court on February 1.